Magic Runes is leaving Kindle Unlimited and it was a sudden, snap decision. The backstory: I was contacted yesterday by an author to join an urban fantasy boxset. I didn’t know the author but I enjoy networking and wanted to learn more about the project. I was invited to the group and, to my delight, I found an author friend already there. Of course, the first thing she did was remind me of the last boxset the two of us had joined where the organizer ran off with our money. To date that has been the first and last time I’ve ever used PayPal customer protection. I managed to get my money back but not everyone was so lucky. Anyway, I’ve gotten off track…Since the original author that invited me to the group was asleep due to being in Australia, my friend told me the theme of the boxset was first-in-series urban fantasy. I checked the KDP Select end term for Magic Runes and it turned out it ends on the 24th. I unticked the auto-renewal for the next 3-month-term of KDP select. On a whim, I checked the end dates for the KDP Select term for the Dare Valari series and found that they end in September and October and removed those from renewal as well. I have never scheduled a free book giveaway and on another whim, decided to use up all five free days for the first time in Magic Runes’ history. The book will be free from 20 August until 24 August. And on 25 August, I’ll be taking the book wide and sharing it on other retailers. As for the Dare Valari series, I’m leaning toward unpublishing the books but I would like to give readers a chance to read the third book before I do that. And that’s the story of how randomly Magic Runes will go wide starting the end of August! 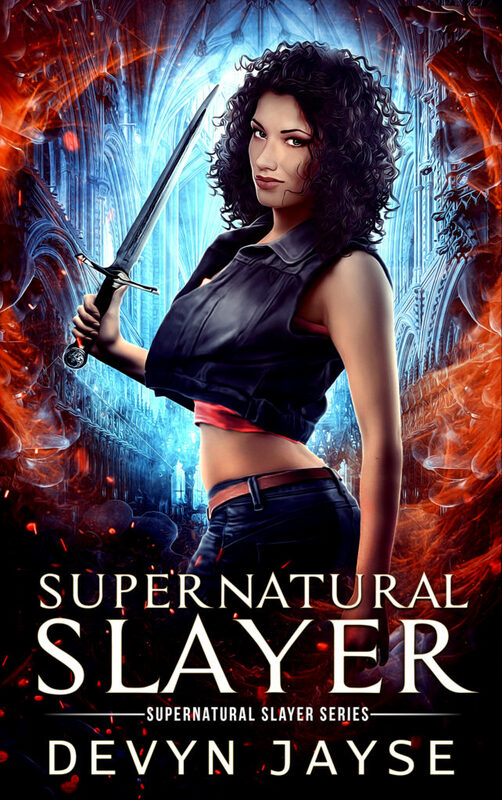 Supernatural Slayer has a new cover. I just updated the cover on KDP and the changes will appear within the next 72 hours. I really liked the original cover and so did some readers and bloggers, but it had a distinct flaw. It didn’t stand out. The lack of contrast of colors was an issue that made itself known when the book was displayed alongside others. It just wasn’t converting well next to other books. By that, I mean that I had AMS advertisements going for my three books (Magic Runes/Supernatural Slayer/Beautiful Magic) and Supernatural Slayer was performing the worst. It barely got any clicks despite a high number of impressions. I knew it wasn’t the book itself since it has the highest number of reviews and most of the reviewers said they enjoyed the book. And that fact alone made me realize I was doing the book a disservice. I needed a new cover that got clicks. A one-click cover is the ultimate dream. It’s a cover that readers will purchase with one-click, no questions asked. Some barely read the blurb. A one-click cover is magical. You can attempt getting all the elements together but it doesn’t always come together the way you’d like. It was clear the original cover wasn’t it, but I needed a cover that got clicks. I asked the original cover designer, Andrei Bat, to rework the cover of book 3 in the series, Shade Hunter, because I loved that one the most. He reversed the image and changed some elements, et voila, a new cover! I’m happy with the result but the true test will be when I start the AMS ads again and see how well the book converts with a new shiny cover. Will it get the clicks that I covet? Time will tell! What do you think of the new cover? Let me know in the comments. 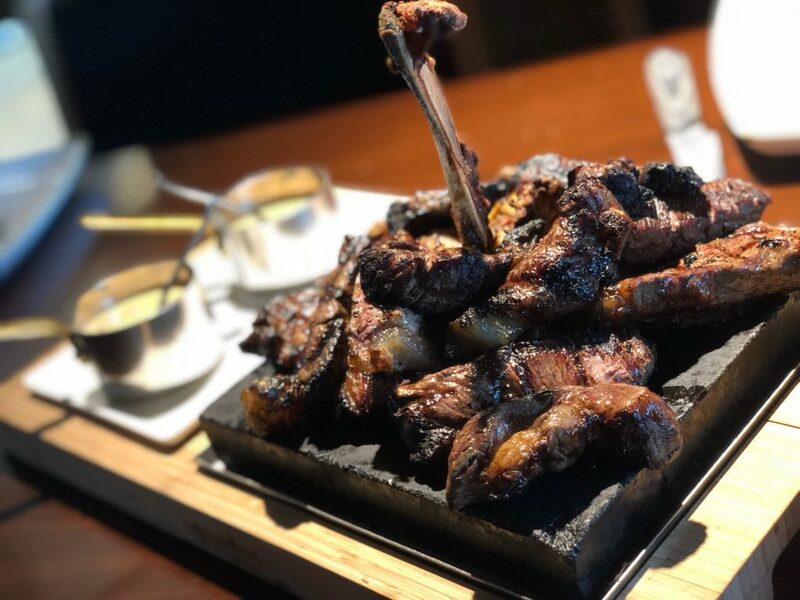 That’s 1kg of delicious meat. And no, I couldn’t finish it all myself. I shared it with two other friends. Thank you for helping me win my bet! And thank you for leaving such generous and kind reviews. I’m really happy you enjoyed Supernatural Slayer. Magic Runes got a few extra reviews since I set up that bet, with the total now at 41 reviews. It’s interesting to see how the other books compare to the ones above. They have a considerably lower number of reviews. My first book A Sword of Fortune and Fate, published in July 2017 has 19 reviews. The follow-up book A Sword of Shadows and Light published in August 2017 has 9 reviews. 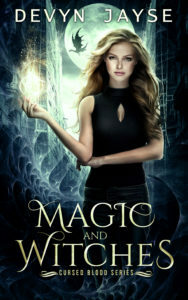 My latest release Beautiful Magic has 7 reviews. I don’t usually ask for reviews in my newsletter so it was fun to win this bet. Thank you to the 70 people that helped me do that today. A special thanks to those that left reviews on my other works. If you have the time and want to show the other books some love, consider leaving a review on them too. A couple of readers had asked me how I felt toward reviews. Overall, I enjoy reading them because I love seeing what readers thought of the story. Whether they’re positive or negative, they’re all great reviews to me. I appreciate the fact that a reader took the time to write something. My favorite reviews are the ones that let me know what worked and/or what didn’t work for the reader. It’s great insight and can help me with my next project. A negative review that breaks down where I lost the reader is sometimes more helpful than a generic “I loved it” review. That said, I love all the reviews. The more, the merrier. As you can see from the examples above, I didn’t have much of a history in getting reviews. It’s always exciting to see a new one pop up! To my readers, I wanted to thank you again for reading my work and for your support. It means the world to this fledgling author. And to each reviewer, thank you for making your voice known. This author reads and appreciates each review, positive or negative, they’re all gold in the end. Today’s guest post is brought to you by the amazing Rae Stoltenkamp. If I had to pick a favourite genre from a list it would be Fantasy. If truth be told I didn’t choose it. It chose me. More than likely spurred on by my mother’s machinations. When I was about 10/11 she won a copy of The Lord of The Rings. That’s when it all started. She put the trilogy in my hands and the minute I thumbed through the pages I was doomed forever. I fell in love the way only a teenager can. With Strider and Lothlorian. Way before I ever saw the character brought to life by Viggo Mortensen or the superb special effects of the location in Peter Jackson’s film. I love this book so much that I used to reread it annually until only a few years ago. Now my writing and reading schedule keeps me so busy I can only afford to look at it sitting on my bedside table instead. Ever since, Fantasy has always been my go to genre, especially when I’m feeling a bit down in the dumps. While I was at university I didn’t have much money but what I did have was a monthly book allowance deposited into my account by my parents. This I would use to top up on non-course related books. They regularly included Asterix & Obelix, a new Toni Morrison or Pratchett and any other newly released book from a fantasy author. Way back when, a university boyfriend introduced me to Tad Williams and I still love and reread The Dragon Bone Chair series periodically. Other favourite authors are: Neil Gaiman, Anne McCaffrey, Marion Zimmer Bradley, Ursula le Guin and Octavia Butler. Recently I’ve been introduced to Ben Aaronovitch and am liking his offerings a great deal. The reason Fantasy will always be top in my reading matter is because it makes me believe the world can be a better place. The crazier the world gets (and let’s face it, it’s pretty crazy right now) the more I dip into the well. This I expect is why I ended up writing in the genre too. I started young. Age 13/14. My first fantasy novel was called Panthra. He was a man who could instantly transform into a panther. Sound familiar? I reckon the creators of Manimal stole my idea. But I’m willing to forgive them because let’s face it, Simon Mac Corkindale was totally hot. I wrote it in an old exercise book, designed maps of the various locations (even though my geography knowledge was highly suspect – still is) and drew pictures of the characters on recycled sheets of my parent’s A4 stationery. As I grew older my writing grew darker, developed a more dystopian feel and began to take on elements of Magic Realism. I confess I abandoned the writing of Fantasy in favour of SciFi further along my writing road. I don’t blame you for shuddering at my disloyalty. Thankfully several friends brought me to my senses and suggested I write a fantasy novel for children. I resisted. They insisted. The Lonely Dragon was born. Earlier this year I ran a Facebook poll on which book I should focus on for my next WIP. Fantasy won out over SciFi. The Witch Adoption Project is now in the making. It’s the sequel to The Lonely Dragon and alongside it I’m doing a little stand-alone yet related fictional autobiography entitled Memoirs of a Feline Familiar. More ideas are sprouting even as this goes live. Fantasy it seems will simply not let me be. And in truth, I don’t ever want it to. Rae Stoltenkamp was born in South Africa and came to England in 1987 to visit family. She liked the weather so much she stayed. After a writing holiday in Greece she had an epiphany and realised she should be writing on a full time basis. It was probably heat stroke since she hadn’t had sun in a while. She then studied writing at City Lit with the poet Caroline Natzler and is now a self-published writer, blogger and English tutor living in South London. Rae currently works for a local charity (Young Women’s Hub) teaching English andalso runs creative writing workshops and after school clubs for primary age children with www.inkhead.co.uk. 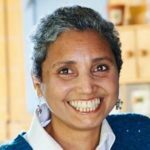 Her published work includes poetry in Prole, Fantasy for children, Science Fiction for young adults and Magic Realism for adults. As well as her writing, Rae has a passion for Lindy Hop and Argentine Tango. When she’s not chained to her desk and laptop, you can often see her tripping the light fantastic with her dancing friends. I commissioned some artwork from the lovely Eri (Twitter @_arururin) and asked her to depict the two heroines of my latest series, Vanessa and Aisha. I’m so excited to finally reveal the art. There will be more characters added as the cast of the series get fleshed out. I may ask some of you to vote on who gets drawn next! 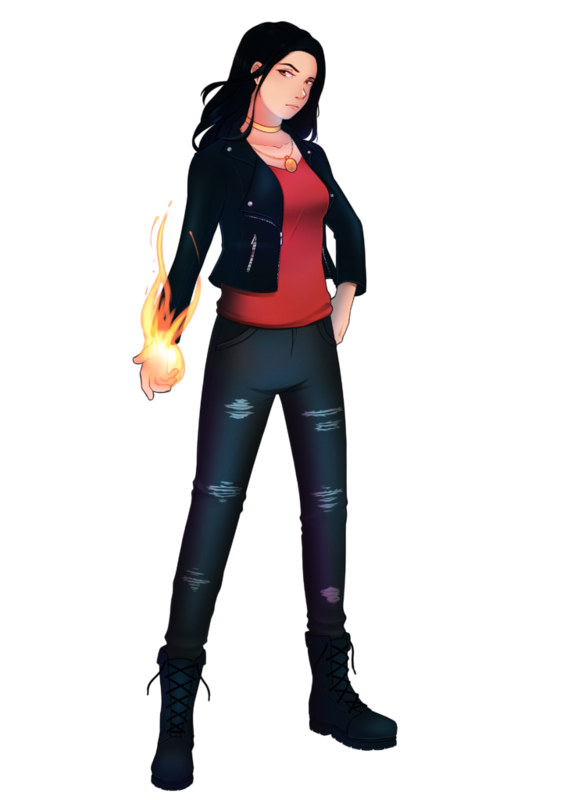 Meet Vanessa from the Must Love Dragons series. 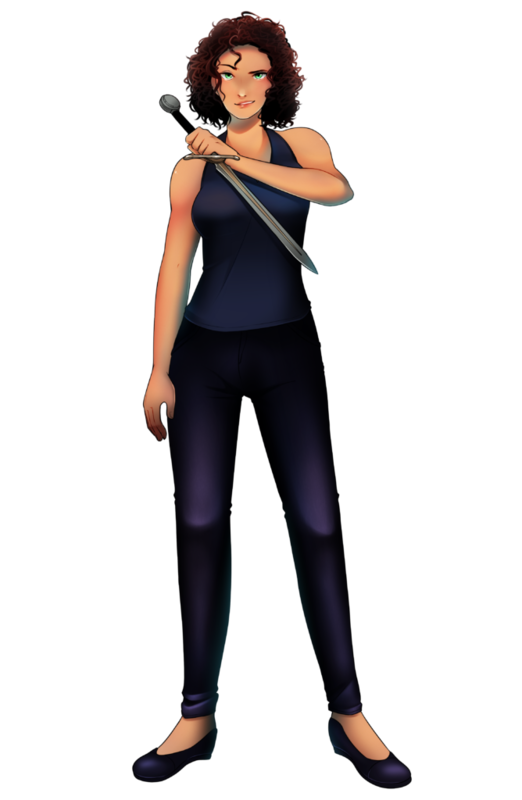 Meet Aisha from the Supernatural Slayer series.